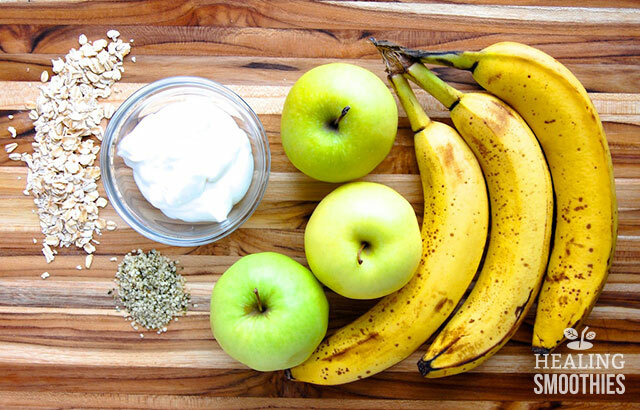 Get your blender ready for a healthy breakfast smoothie recipe that can be made in minutes. Wake up your taste buds and provide your body with nutrition at the same time. Since you are able to take the smoothie with you in a cup, there is no reason to skip breakfast any longer. It will fill you with energy to keep you going until the next meal. During the middle of the school year when family schedules are rushed and hectic, a nutritional breakfast can often be overlooked. This substantial smoothie is just the ticked to hurried mornings. Even the kids will enjoy this breakfast smoothie, especially since they can add their favorite fruit to personalize it. Another benefit of this breakfast smoothie is that you are able to prepare it the night before. Make several different flavored smoothies and put them in sealed mason jars or containers in the refrigerator overnight. Then in the morning you have breakfast ready to grab and go, no blending needed. Healthy and portable, a breakfast smoothie has the added convenience of only requiring one hand. So whether you walk or drive, heading to school or work, sip this smoothie on the way. The drink will give you important fuel for your day. 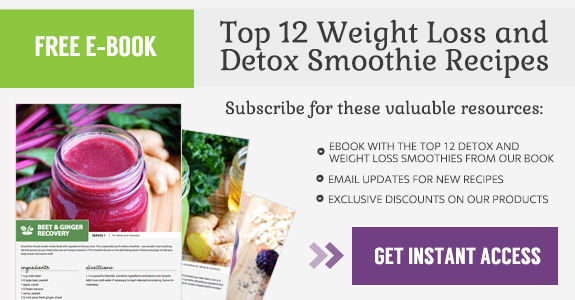 This smoothie contains protein, vitamins, and minerals and is easily customizable. 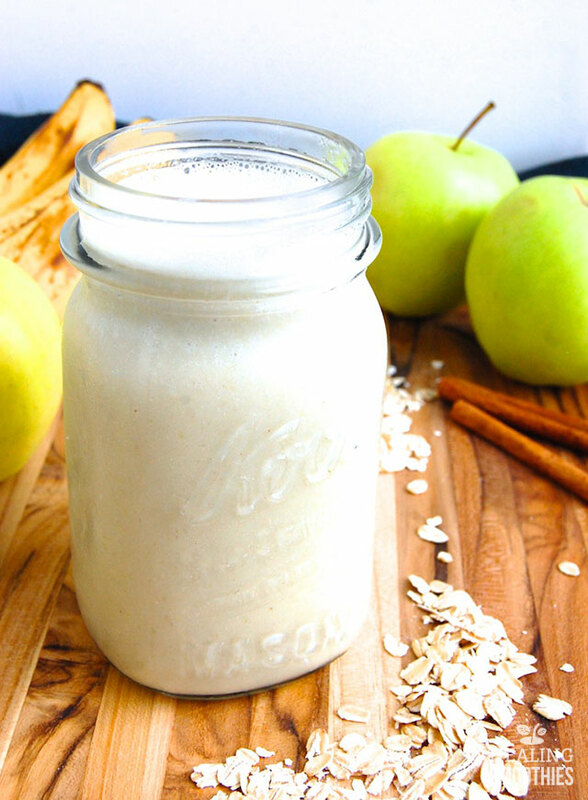 The oats, banana, and apple all provide fiber, which will keep you full until your next meal. Soaking the oats for a few minutes helps them to blend better, especially if you are not using a high-powered blender. 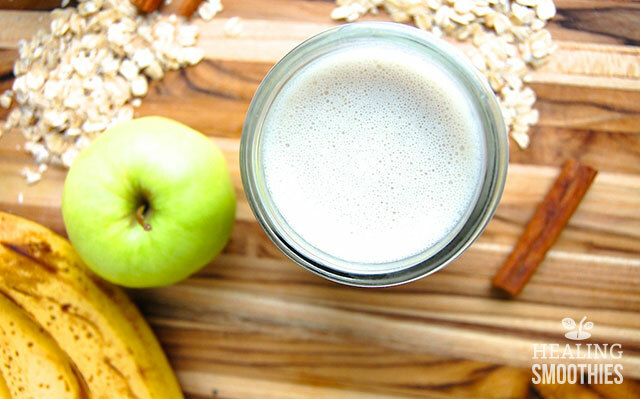 The oats and banana also make the smoothie deliciously creamy. Hemp seeds are also included in this smoothie but are completely optional. Along with the Greek yogurt, the hemp seeds add a natural protein boost to the drink. They do not affect the flavor of the smoothie at all. There is no better way to kick start your day than with this healthy and delicious smoothie. This easy breakfast will give you the fuel you need to get going in the morning. 1. Soak oats in the almond milk for 5 minutes. In a powerful blender, combine ingredients and blend until smooth. Add more almond milk if necessary to reach desired consistency. Serve immediately.